As a maritime country, Indonesia is supposed to keep and to protect its maritime resources. However, there are many challenges for Indonesia as a country with 60% of its land is covered by ocean. Thus, this condition makes Indonesia hardly maintain it resources due to illegal fishing which the crime has been conducted by other foreign fishermen. Joko Widodo (Jokowi), as the president switched Indonesian diplomatic strategy from Susilo Bambang Yudhoyono’s Zero Enemy Thousands Friends to Down to Earth Diplomacy. The 9 priorities or known as NawaCita has been the focus to keep Indonesian maritime resources as well as to project Indonesia to be Global Maritime Axis. 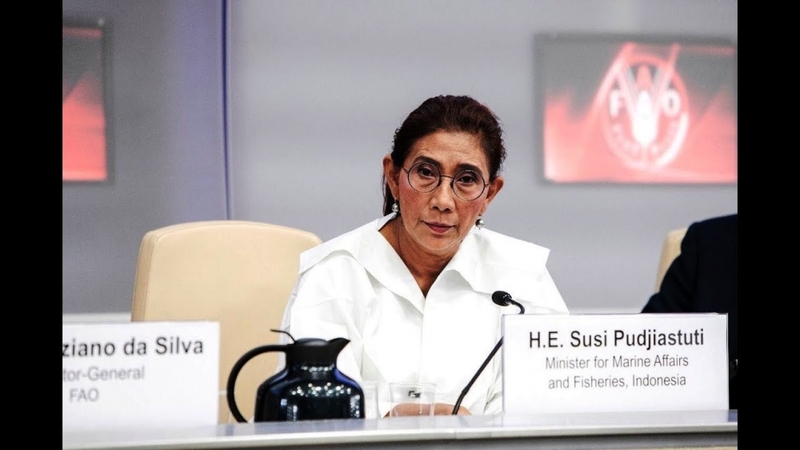 One of the astonishing moves that have been taken by our current president was appointing Susi Pudjiastuti as the minister for Marine Affairs and Fisheries. Susi is pretty much unique to the other ministers in Indonesia. Susi has no higher education background, neither bachelor degree nor master degree in the maritime and fisheries field. She smokes cigarette, which she then admitted that this behavior is not good. Moreover, she also has tattoo on her leg. Something that is quite controversial to Indonesia’s conservative background. However, her tremendous work shows a remarkable result and it successfully protects Indonesian maritime resources. Born in Pangandaran, 15th January 1965, Susi had father named Haji Ahmad Karlan and her mother was Hajjah Suwuh Lasminah. Back then, Susi’s parents have had big livestock farm as a family business. Susi’s academic journey was not really impressive either, as she left her high school when she was on second grade. But for her, the show must go on; She then sold her jewelry and earned 750.000 Rupiahs as the asset for her business. As time goes, she started to be a fish collector for her stock market at 1983. In an interview, she explained how she drove a truck to pick up the fish and sold it in another city. For a woman like her, the struggle she went through was difficult. However, life challenges never make her down. In 1996, Susi established a fishery management under the name of ASI Pudjiastuti Ltd. Marine Product with lobster as the best product. The ‘Susi Brand’ eventually spread across Asia and America. In 2004 Susi bought a plane to carry her fisheries product, she believes that fresh products are more valuable than any frozen products. At first, the plane was used to transport fishes and lobsters from all over Indonesia to Jakarta and Japan. 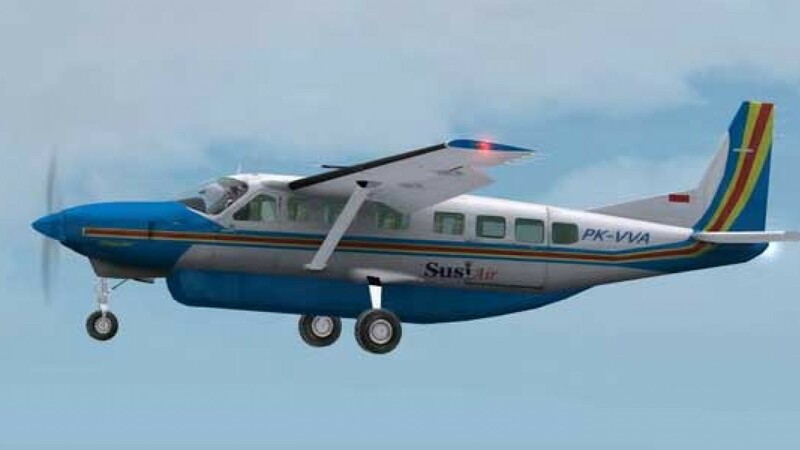 That plane eventually became well-known as Susi Air. Her experiences make her familiar to the Indonesian maritime condition. Susi officially became Ministry of Maritime and Fisheries under Joko Widodo’s administration on 26th October 2014. As a minister, she had to withdraw from her position as President Director of PT. ASI Pudjiastuti and PT. ASI Pudjiastuti Aviation to be fully committed on her job as minister. However, she said that she has to adapt to the government bureaucracy situation, as it is the opposite to her usual task as the president director of her own business where she was able to manage anything according to her ideal and to assign policy according to the situation as fast as she can. Despite the government’s situation that she has to adapt to, she has shown a remarkable performance. Under her command, Indonesia has more tighten rules on illegal fishing; her popular policy is to sink any ships that conduct illegal fishing on Indonesian water. Her action implicitly expresses an important message to anyone who is willing to take Indonesian fish illegally. Therefore her action expresses ‘no one mess up with Indonesia’. For her outstanding works, in 2016 World Wildlife Fund (WWF) awarded her the prestigious “Leader for Living Award”. Susi was also awarded the “Benchley Ocean Award for Leadership Category” in Washington DC, United States of America in 11th May 2017. 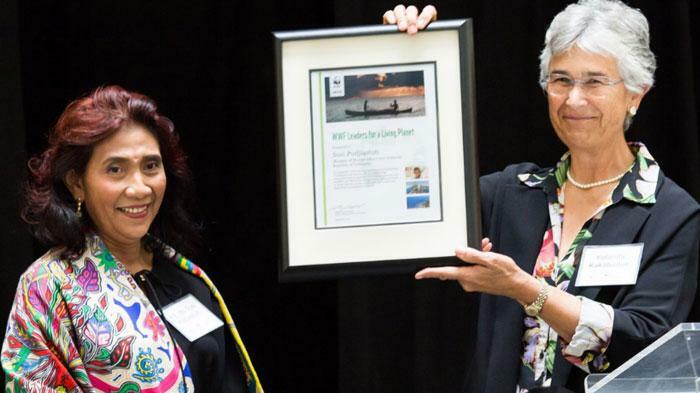 Moreover Susi Pudjiastuti was named among 100 inspirational and innovative women of 2017 on September 2017, the award was given by the UK-based media BBC. 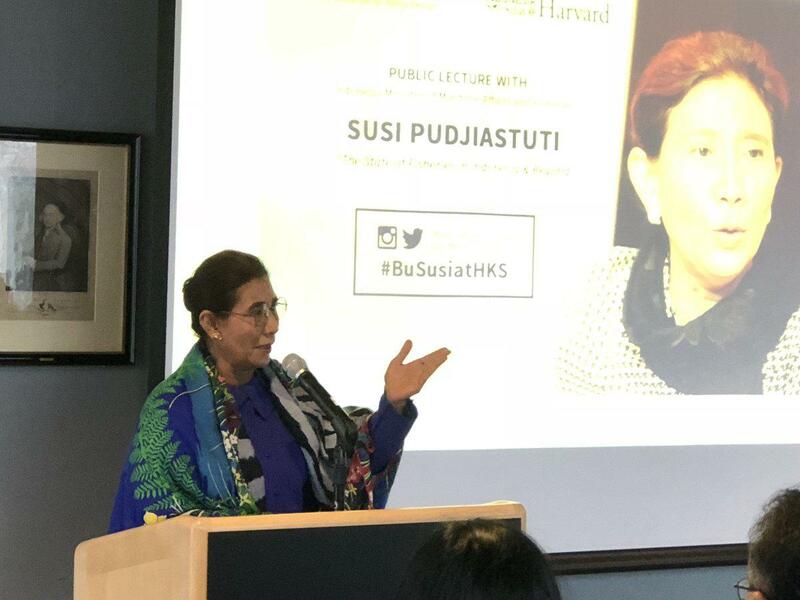 Other than that, Net Mediatama also named Susi as the winner of “Creative and Innovative Person of the Year” award in 2018 during Indonesian Choice Awards 5.0 NET and more recently in 2019 Foreign Policy Magazine enlisted 100 Global Thinkers which Susi is among the 100 global thinkers. Indonesia is lucky to have Susi Pudjiastuti as the sea protector, she works really hard to maintain Indonesian sovereignty. From her life story we can something important, that action speaks louder. Despite her education background which only stopped at second grade of junior high school, but her vision and action show a world class leader. “Education is only a part of what you need in life. The rests are integrity, honesty, discipline and determination"